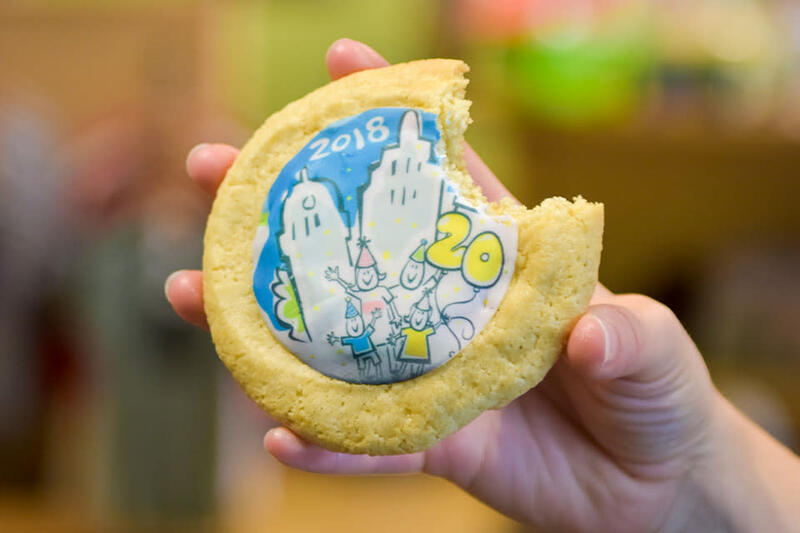 Visit Fort Wayne is proud to announce the release of “Fort Wayne 2018: Year in Pictures” - a collaborative photo essay project. 8 community publications selected their top photos and stories from 2018, to help build a gallery overview of the top Fort Wayne stories in 2018. 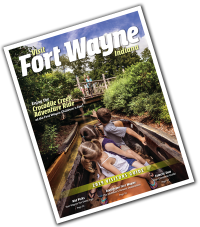 The photos were collected and curated by the marketing team at Visit Fort Wayne, who work each day to tell Fort Wayne’s story to our visitors. Browse photos by month, and follow the links to the original articles for select images. January 8: Southwood Park, Fort Wayne. 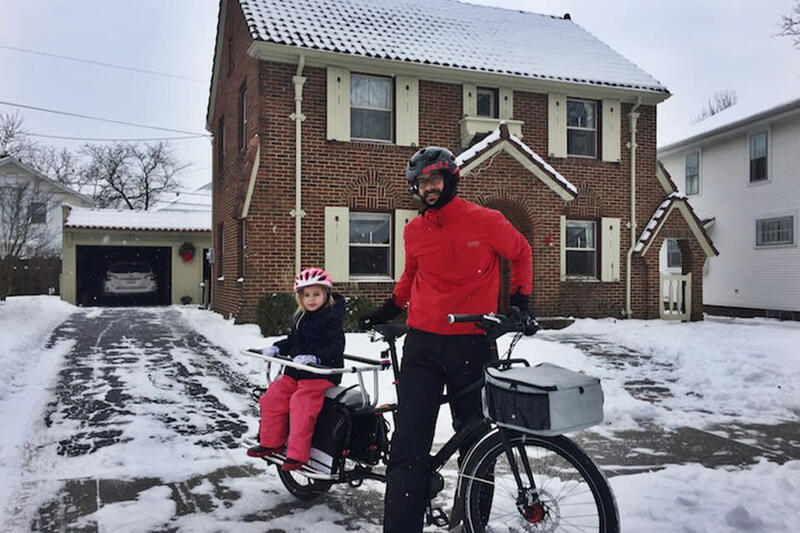 Vincent Serrani of Fort Wayne and his daughter Francesca, 5, often commute around town on the family’s cargo bike, even in the snow. Serrani adapts to the winter weather by switching to snow tires. January 10: Fort Wayne. 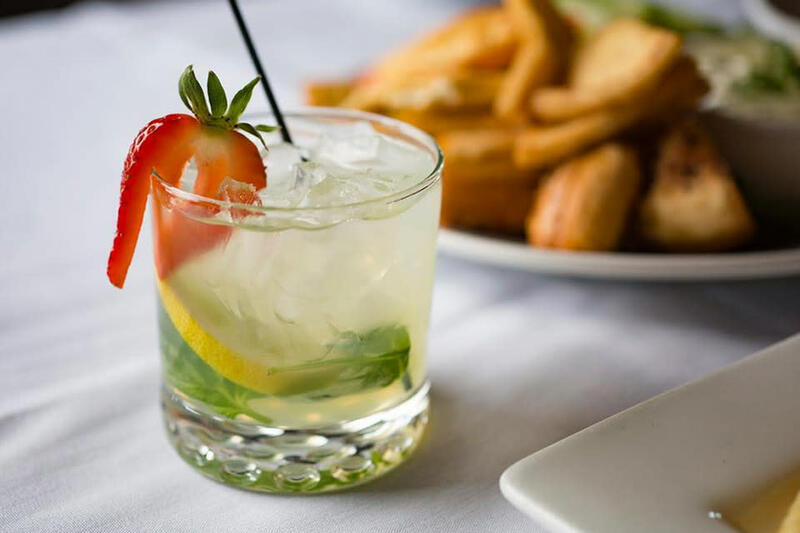 Visit Fort Wayne presented the fifth year of Savor Fort Wayne January 10-21, 2018. The event showcased more than 50 of Fort Wayne&apos;s best restaurants who each offered a special menu of three-course, value priced meals. The event will be held again January 8-19 in 2020. Click here for details. February 22: Lafayette Meadows Elementary, Fort Wayne. Rachael and Jesse Vanengelenhoven hug at Lafayette Meadows Elementary School, where she is a media specialist. 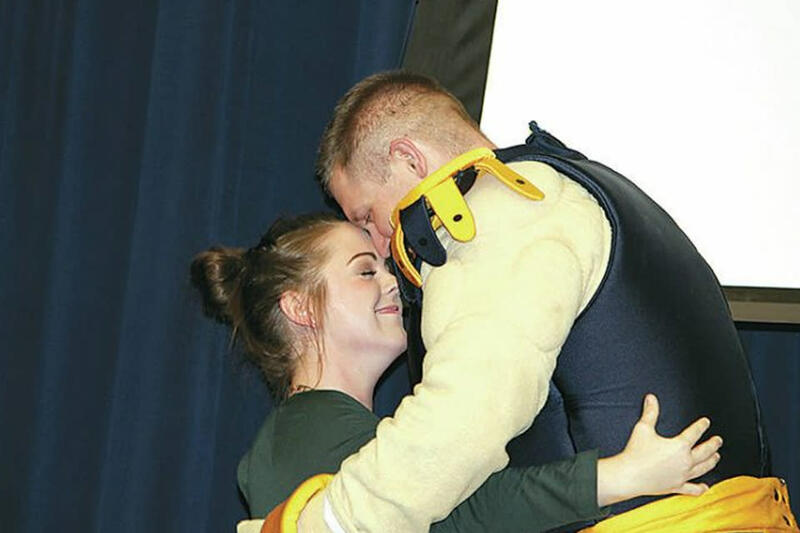 The tech sergeant made a surprise early return from deployment in southwest Asia and entered the school assembly in the costume of Sparty, the Homestead High School mascot. March 7: Foster Park Neighborhood, Fort Wayne. Fort Wayne resident Kati Todd purchased and fully renovated a roughly 400-square-foot house in city&apos;s Foster Park Neighborhood as part of HGTV&apos;s "House Hunters" show. 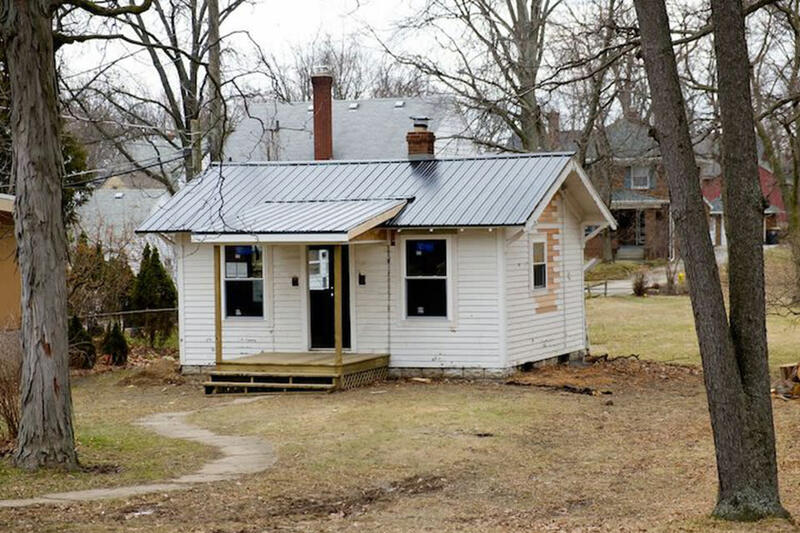 Her experience has drawn attention to the potential of tiny houses in Fort Wayne. March 11: North Side High School, Fort Wayne. Albert is a dancer and performer. He started dancing at age 10 while at the Boys and Girls Club of Fort Wayne. By age 16, he was leading a class there. Today, he is active with Fort Wayne Dance Collective and dAnce.Kontemporary. 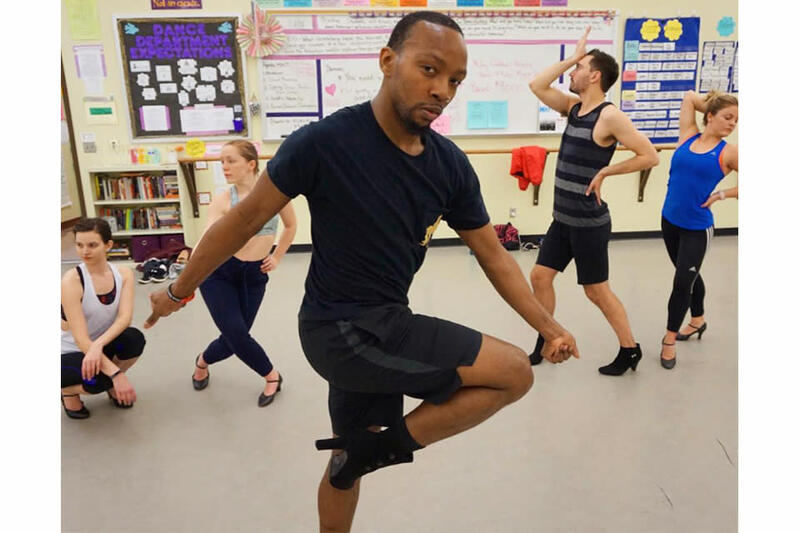 He also teaches dance at local schools, including South Side and Lakeside, helping students connect with others through the art of movement. March 17: West Main Street, Fort Wayne. 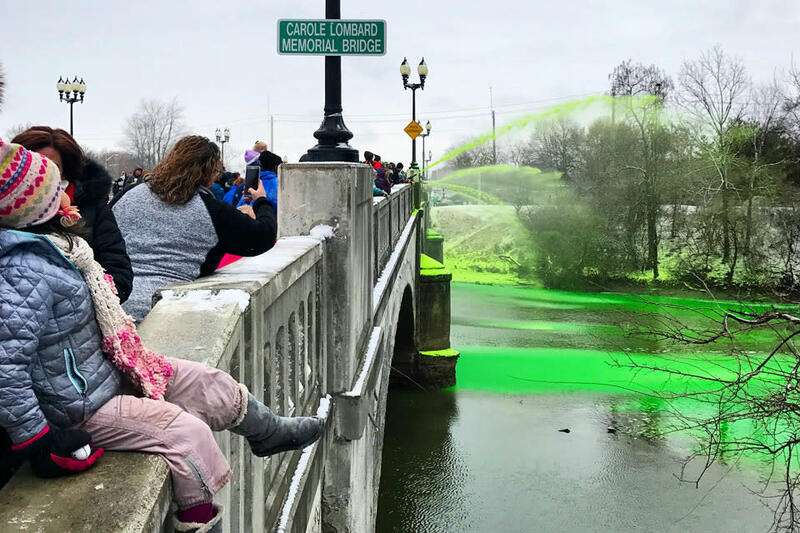 Crowds gather along the edges of West Main Street to celebrate Get Green Fest, the annual celebration of Saint Patrick&apos;s Day in Fort Wayne, which includes greening the rivers with a non-toxic, eco friendly vegetable based dye by the Fort Wayne Fire Department. The event will be held again on March 16, 2019. Click here for details. March 21: Omkaar Temple, Fort Wayne. 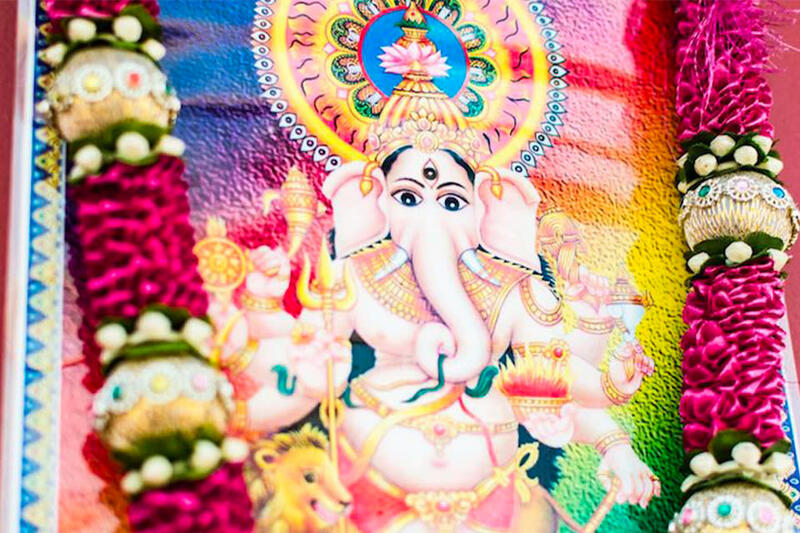 The Hindu God Ganesh (also spelled Ganesa or Ganesha and known as Ganapati, Vinayaka and Pillaiyar) is the Lord of Good Fortune who provides prosperity, fortune, and success. This vibrant depiction is at the Omkaar Temple, a Hindu worship center, in Fort Wayne, which describes its mission as promoting “inter-religious, social, and cultural understanding and to support humanitarian causes." April 4: Fort Wayne. 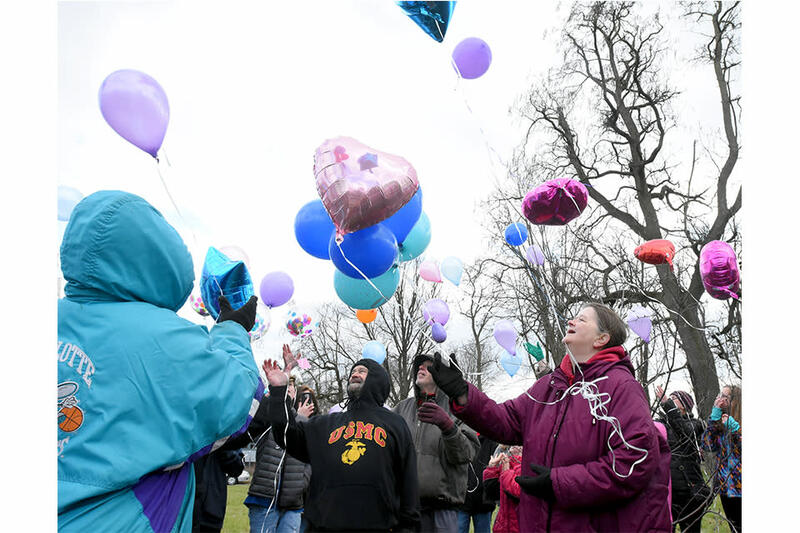 Janet Tinsley, right, the mother of April Marie Tinsley, releases balloons along with others gathered at Hoagland and Masterson avenues April 4, 2018, to remember the 8-year-old girl, who was killed in 1988. April 11: Renaissance Pointe, Fort Wayne. 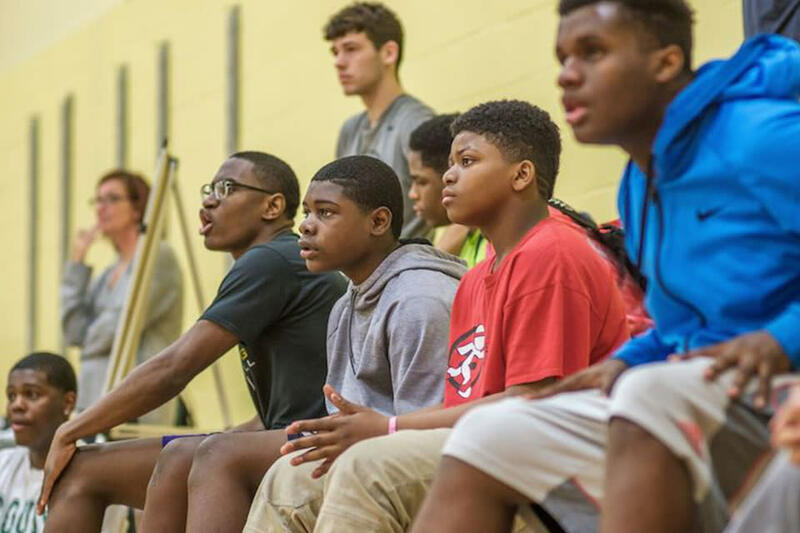 Participants in Fort Wayne United’s Late Night Basketball Program wait on the bench during a game. The basketball program serves boys and men at the Renaissance Pointe YMCA. April 11: Allen County War Memorial Coliseum, Fort Wayne. The first shoppers come through the doors of the Expo Center for the Vera Bradley Annual Outlet Sale. 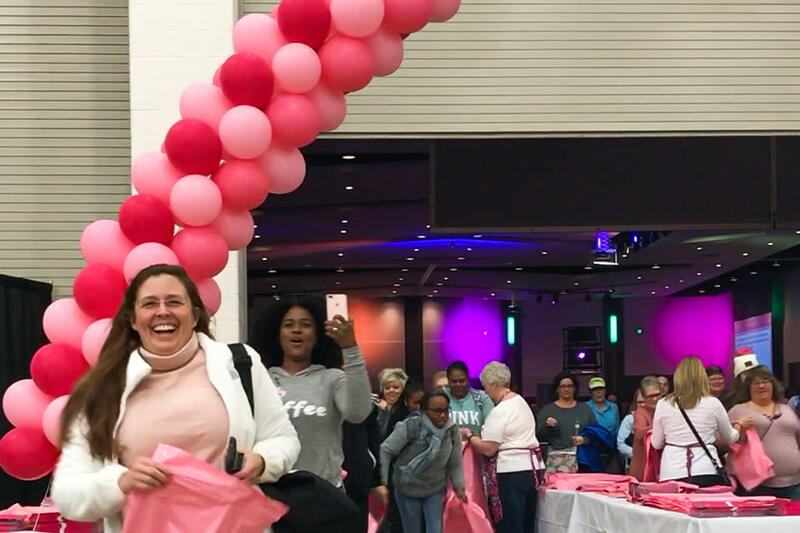 The largest shopping event in the city, 50,000 visitors from all over the United States, and beyond, travel to Fort Wayne to bag a bargain. 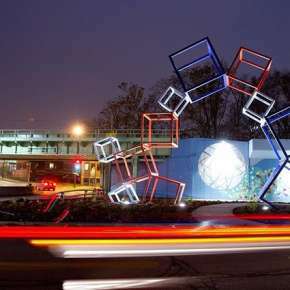 Photo by Visit Fort Wayne. April 30: Cedarville Elementary School, Leo-Cedarville. 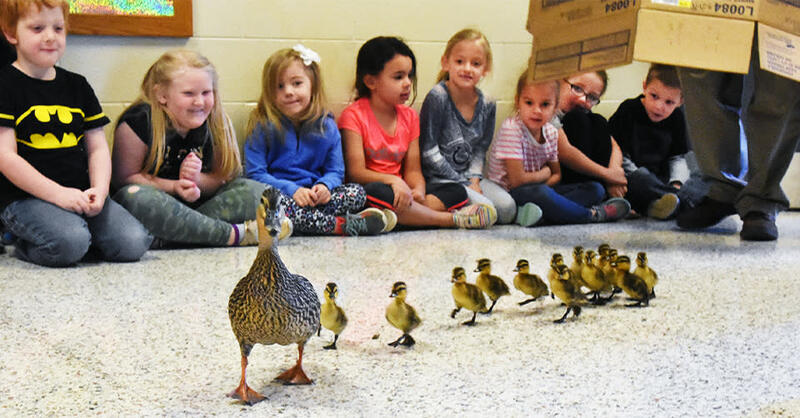 Cedarville Elementary kindergartners watch a momma duck and her 13 ducklings, who were raised at the school, as they are escorted from the courtyard, through the halls and outside to a pond on April 30, 2018. May 6: Freimann Square, Fort Wayne. 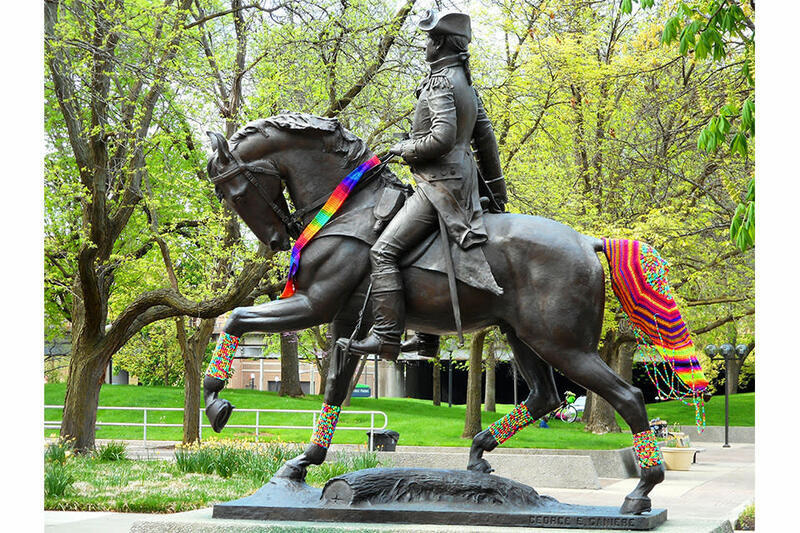 Fort Wayne&apos;s downtown suffered an "art attack" in the early morning hours of May 6. Photo by Julia Meek, courtesy WBOI.org. May 12: 1808 Bluffton Road, Fort Wayne. 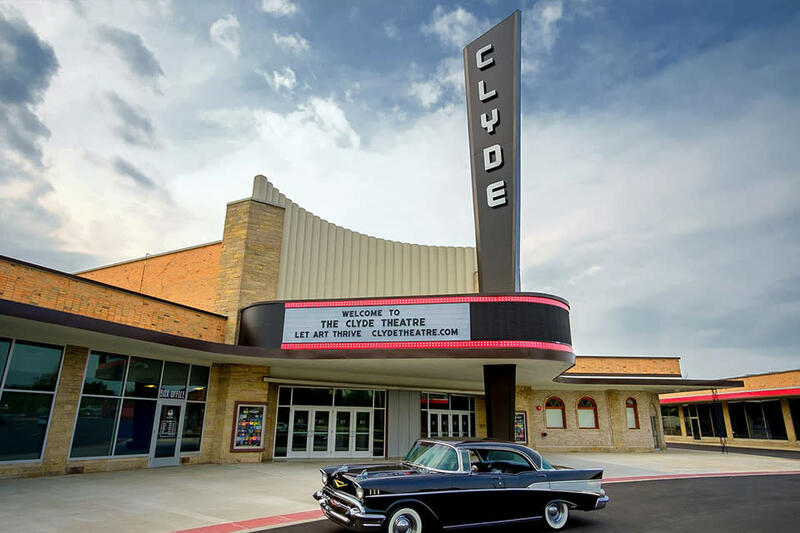 The Waynedale News detailed the history and the renovation process of the Clyde Theatre two months before it reopened on May 12, 2018. The Clyde was originally opened in 1951 but through years of neglect was closed in the 1980s. June 14: Eagle Marsh, Fort Wayne. Thanks to the volunteer efforts of the Soarin&apos; Hawk Raptor Rehabilitation Center, a bald eagle was released back into the wild at Eagle Marsh Nature Preserve. Recording Studio, Fort Wayne. 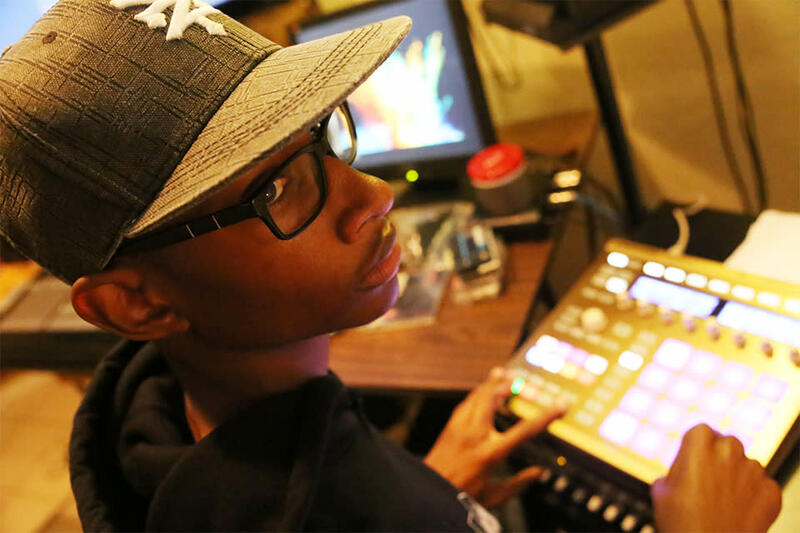 Featured in the Fort Wayne Ink Spot’s All-Music issue, the then 14-year-old entrepreneur Elijah Zahir, DJ Black Code, has already made beats for national acts like rapper Brianna Burns (“Lil Bri”). June 22: Indiana Signworks, Fort Wayne. 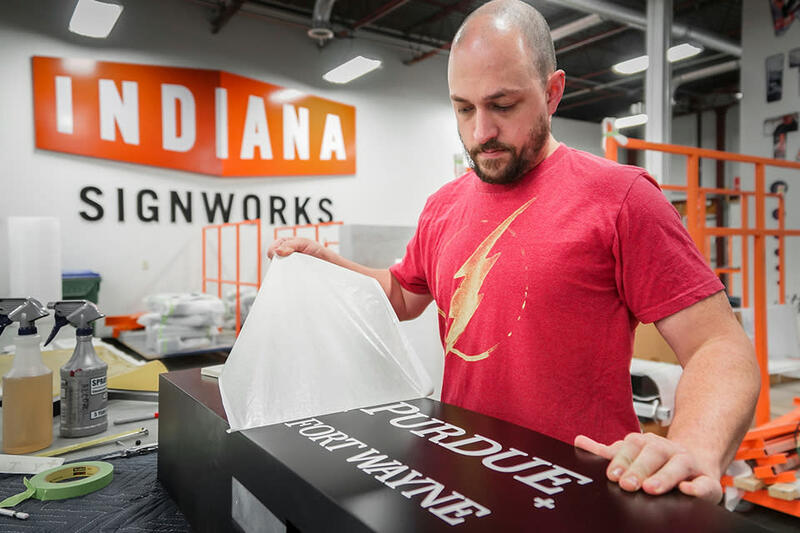 Andy Godsey, a specialist at Indiana Signworks, removes the vinyl backing from a Purdue Fort Wayne logo sign made June 22, 2018, at the local company on Production Road. 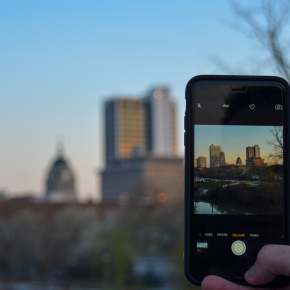 June 30: Downtown Fort Wayne. 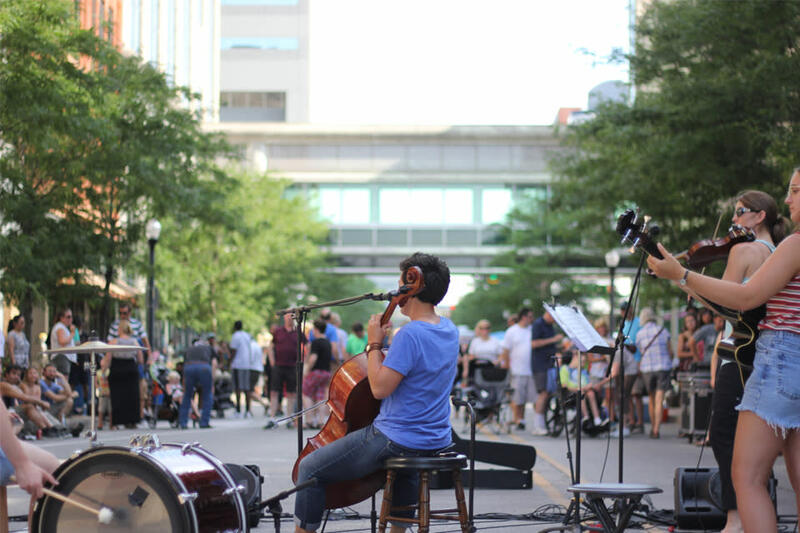 Musicians play on Calhoun Street downtown at Buskerfest June 30. The 2019 event will be held June 29, 2019. Click here for details. July 27: Indiana Air National Guard, Fort Wayne. 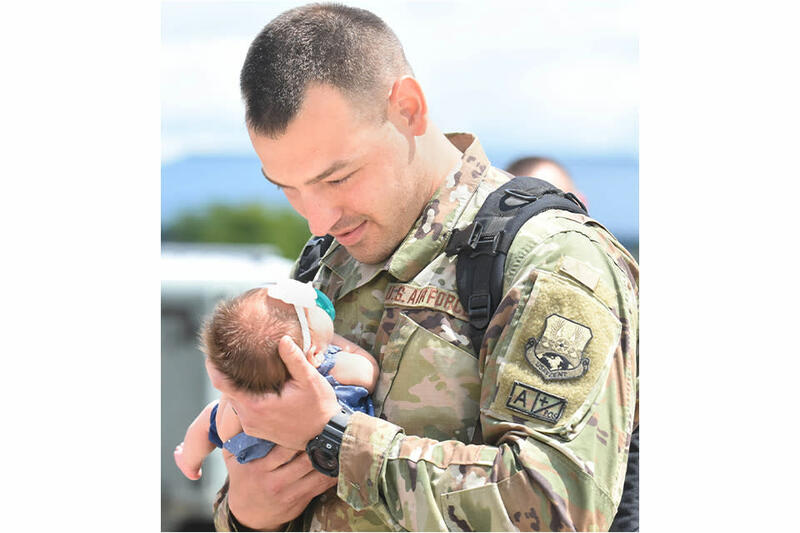 Airman Josh Pulfer meets his 2 1/2-week-old daughter, Jade, after returning to the 122nd Fighter Wing July 27, 2018, from a deployment to Afghanistan. Jade, originally due Aug. 8, made her appearance July 8 with Dad on hand via video conference as his wife, Kacie, gave birth. July 28: St. Augustine Lutheran Church, Fort Wayne. 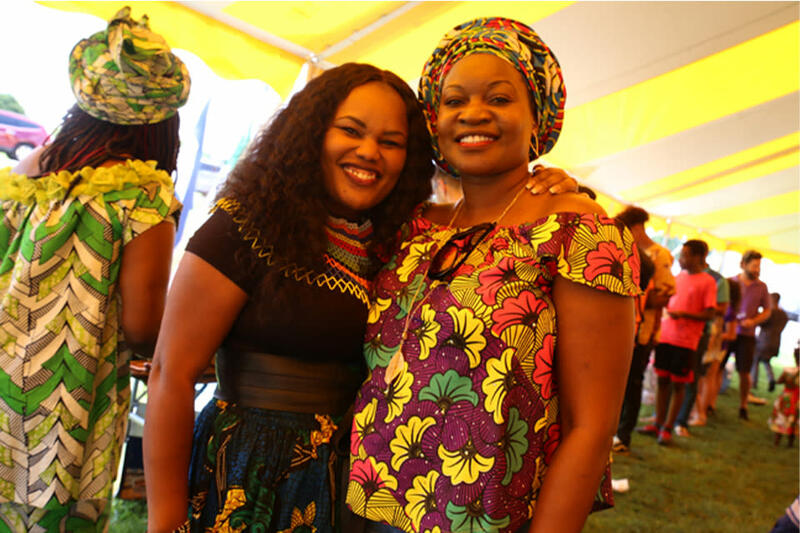 St. Augustine Lutheran celebrated its 20th anniversary with its annual African Food Festival by showcasing music and serving food that is representative of the 19 African countries that belong to the Crescent Avenue church. July 29: The Old Fort, Fort Wayne. 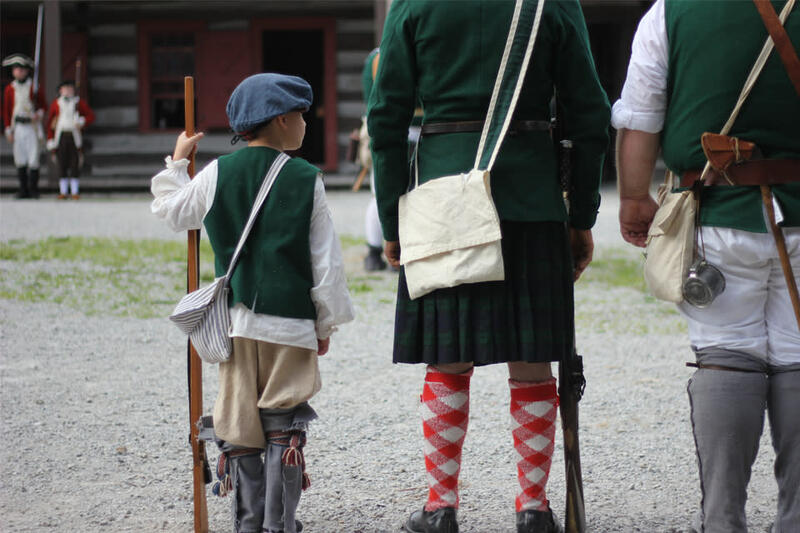 Dressed as the Queen&apos;s Rangers, reenactors observe the morning Trooping of the Colors at the Old Fort. After the flag is raised, a canon blast marks the beginning of a day of reenactment. August 2018: Wunderkammer Company, Fort Wayne. 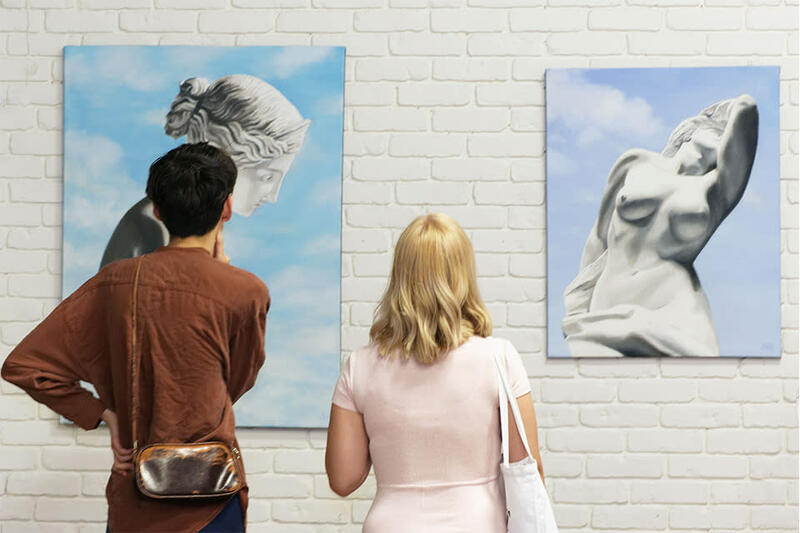 Local art gallery Wunderkammer Company showcases the work of emerging artists, including these works by Jafet Garcia. August 15, The Landing, Fort Wayne. 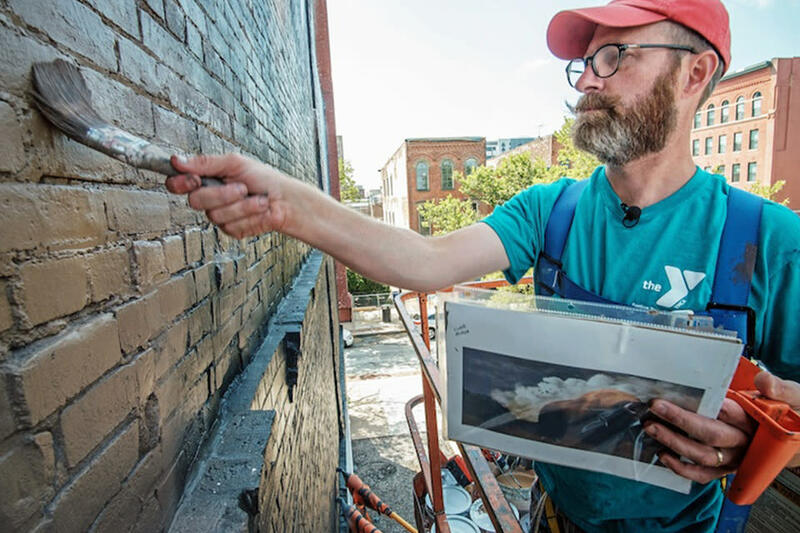 Artist Tim Parsley paints a bison mural on the Landing in downtown Fort Wayne. Parsley is the Chair of Art & Communication and Associate Professor of Studio Art at the University of Saint Francis. His mural overlooks a historic cultural district the City of Fort Wayne is redeveloping. September 5: Turnstone, Fort Wayne. 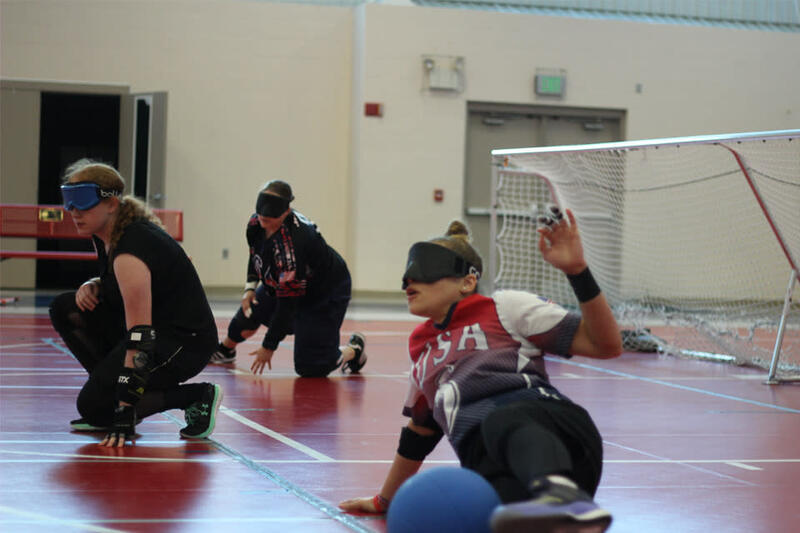 Members of the women&apos;s goalball team (from front to back) Amanda Dennis, Ali Lawson and Lisa Czechowski participate in a demonstration for the Fort Wayne Central Lions Club. In the summer of 2019, Turnstone will be hosting athletes from around the world in events to qualify for the Paralympics in Tokyo in 2020. Click here for details. September 5: Fort Wayne Newspapers. 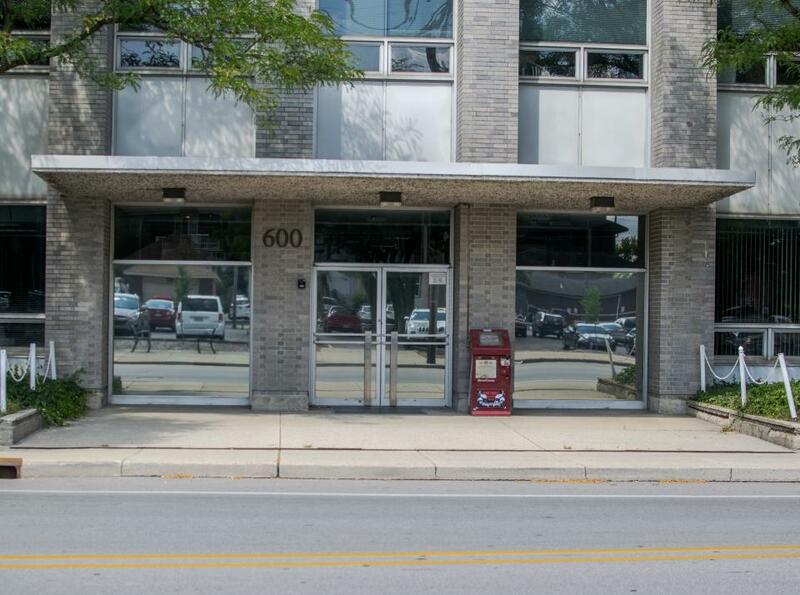 The News Sentinel boxes no longer sit outside the Fort Wayne Newspapers building after the century-old newspaper ceased most publication, in print and online. Photo by Rebecca Green, courtesy WBOI.org. October 5: Lane Middle School, Fort Wayne. 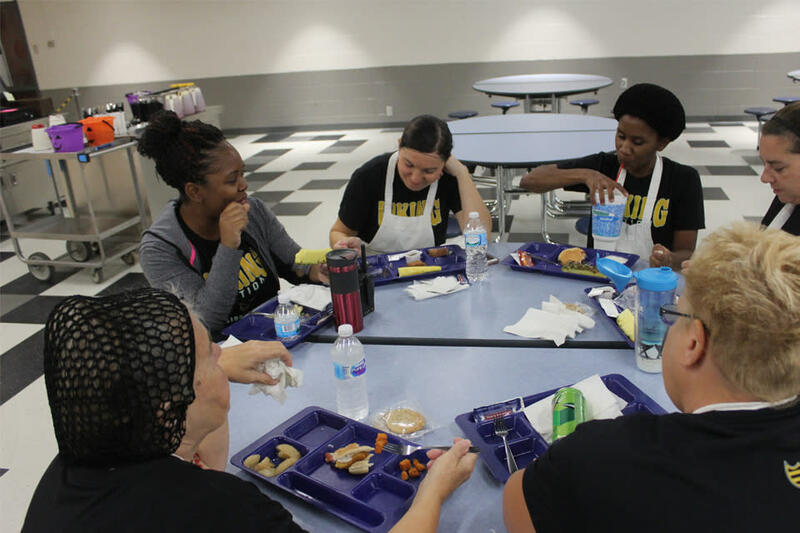 Cafe manager Lakesha Green eats an early lunch with her team before the lunch rush. They typically eat whatever is on the menu that day. October 13: Turner Chapel AME Church, Fort Wayne. 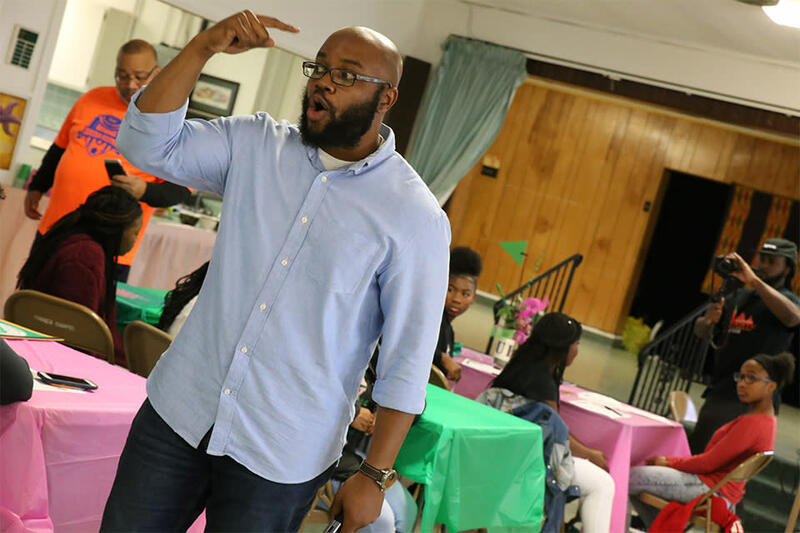 The Iota Chi Omega chapter of the Alpha Kappa Alpha sorority hosted an I Love My HBCU event at Turner Chapel AME Church for prospective students looking to learning more about and apply to historically black colleges and universities. The three-hour seminar included a light lunch, a tutorial about the college application process, and concluded with a panel discussion. November 3: Lucas Oil Stadium, Indianapolis. 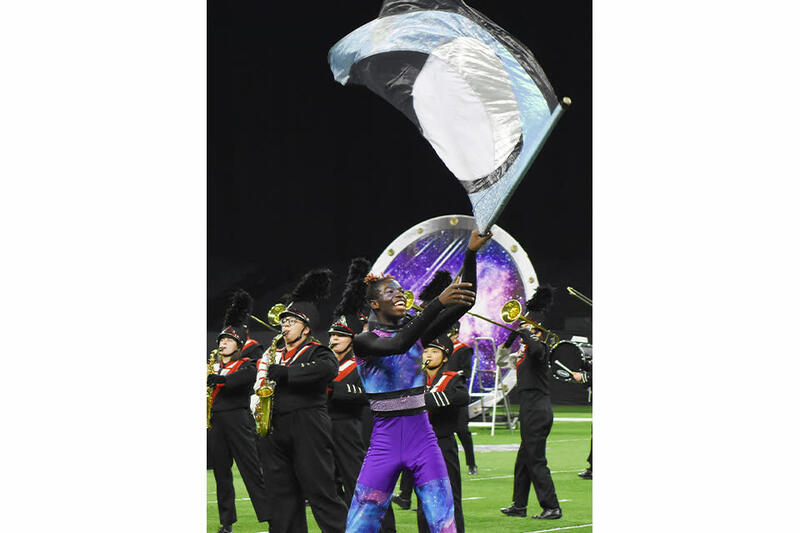 Tre Martin, a member of North Side High School&apos;s color guard, performs alongside the marching band during its performance of "Spaced Out" at the Indiana State School Music Association&apos;s State Marching Band Finals on Nov. 3, 2018, at Lucas Oil Stadium in Indianapolis. November 5: Allen County War Memorial Coliseum, Fort Wayne. 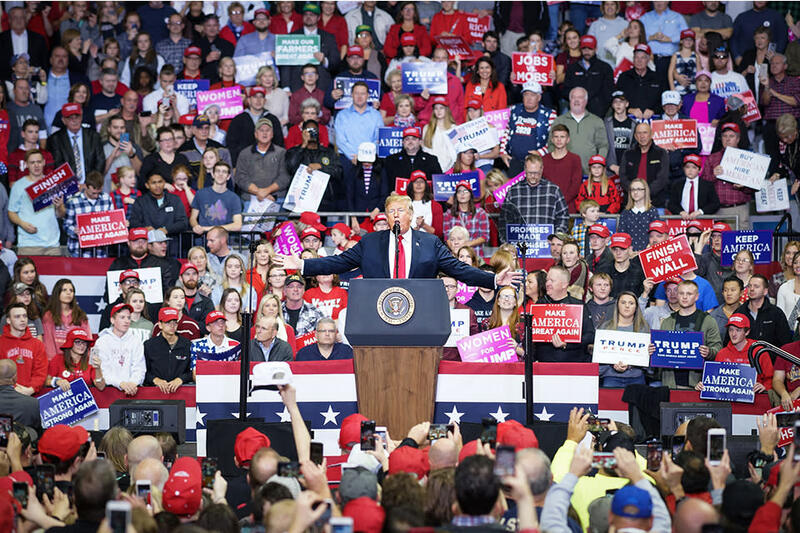 President Donald Trump speaks at a rally Nov. 5, 2018, at Memorial Coliseum becoming the first sitting president to be in Fort Wayne since 1982. November 11: Memorial Park, Fort Wayne. 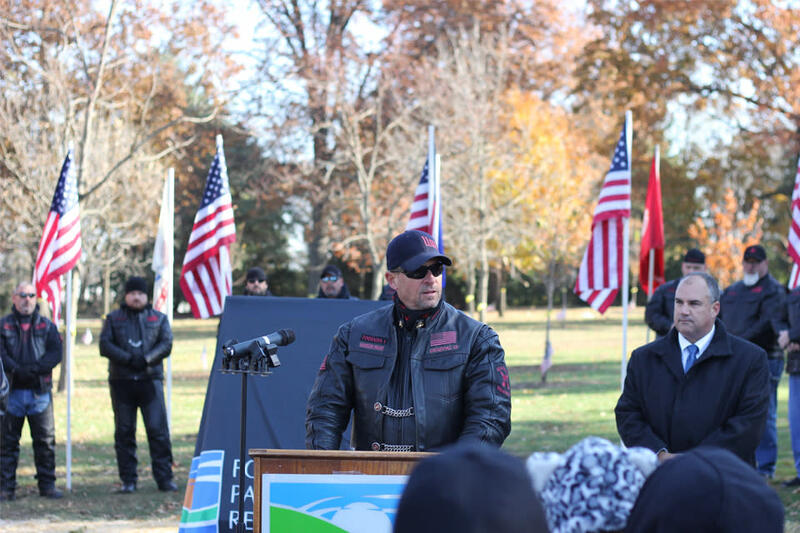 Gary Perkey, president of the Warrior Breed Motorcycle Club, addresses a crowd gathered at Memorial Park for the rededication of the World War I Memorial Grove. The grove includes 125 trees that honor the 125 Allen County residents who died in WWI. Warrior Breed raised $40,000 to benefit the grove&apos;s restoration. November 16: Broadway Plaza, Fort Wayne. 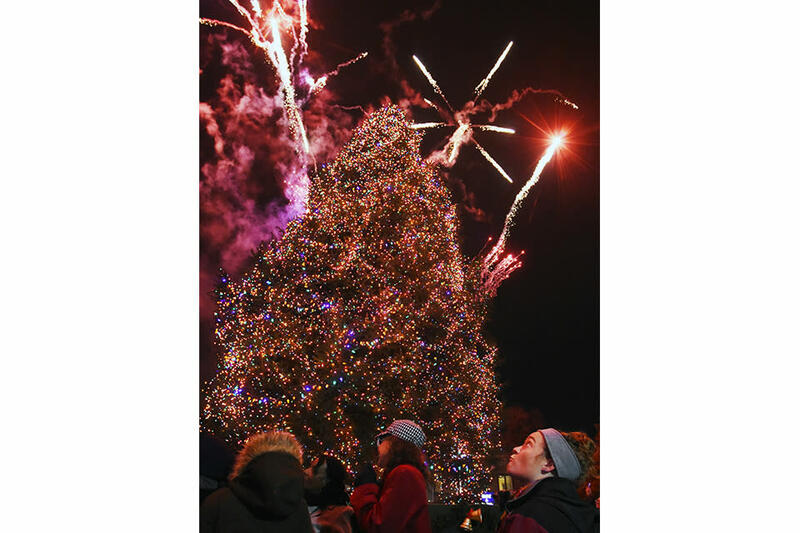 Bethany Gehman looks up as fireworks go off during the lighting of the tree Nov. 16, 2018, at Christmas on Broadway in front of the Shine & Hardin building on Broadway Plaza. December 11: Downtown Fort Wayne. 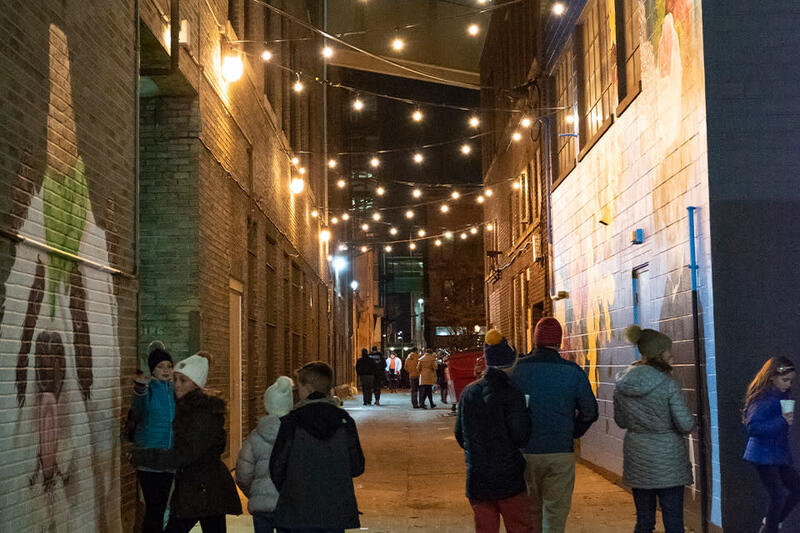 Pedestrians traverse Fort Wayne&apos;s alleyways in search of great art to appreciate. This alley features several pieces of art to help liven up the cityscape, part of the Art This Way program. A walking tour map of Public Art destinations is available here. Glo Magazine, Fort Wayne. 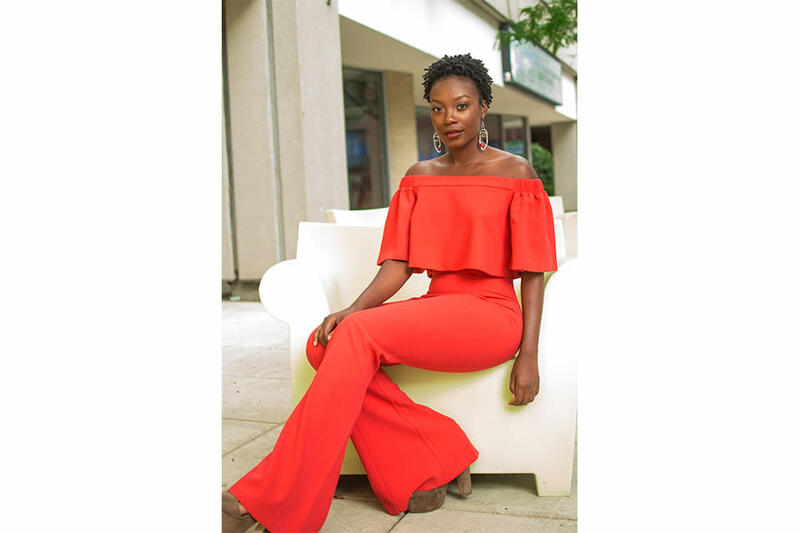 Fort Wayne native Christiana Danielle made her singing talent widely known when she appeared on NBC’s The Voice earlier this year. In addition to music, she plans to continue to explore other areas of interest and live her life staying true to herself. Encouraged by her parents, Christiana began singing at church as a very young child and said music was an avenue of worship growing up. Special thanks to our submitting partners: Fort Wayne Magazine, Glo Magazine, Fort Wayne Ink Spot, IN|Fort Wayne / KPC Media, Input Fort Wayne, the Journal Gazette, Northeast Indiana Public Radio / WBOI, and the Waynedale News. Please feel free to share this gallery. We ask that you link to it directly, as opposed to recreating this content.